Coconut oil has been used throughout history, and there is good reason why this oil has been used. It has several health benefits when used on the exterior of the body, as well as when taken internally. For those using coconut oil for cooking, it can lower their cholesterol and the antioxidants and antibiotics in it can help to ward off several illnesses. Externally, coconut oil for hair growth is often a highly sought after remedy, especially for those who find it hard to grow their hair naturally. 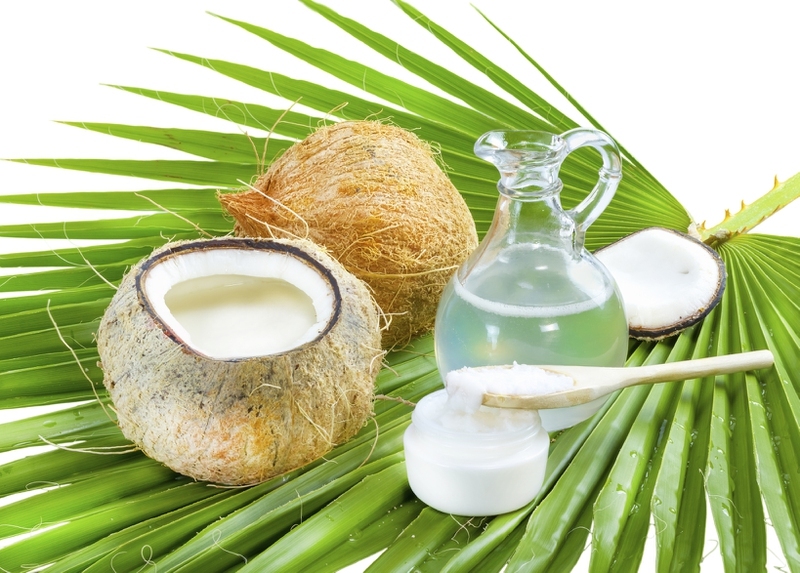 In essence, coconut oil is one of those products that seem to have it all. Now let's learn more about how to use this super product to promote your hair growth. Coconut oil can be very messy therefore you should choose a proper cover, like an old towel or even an old shirt, when applying this to your hair. Simply place the cover around your neck and shoulders to prevent this oil from ruining your good clothing. The amount of coconut oil you use will depend upon the thickness and length of your hair. For those with long, thick hair, they will need to heat up 5 tablespoons of coconut oil in a microwave safe bowl, while those with shorter and finer hair will only require 3 or 4 tablespoons. Put the bowel into the microwave for around 30 seconds. Then take it out, stir and microwave for another 30 seconds. You will want this to be an oil consistency. Let the coconut oil hair conditioner cool slightly, pour this onto the top of your head and distribute it evenly on your hair. Gently massage this into the scalp and then run your hands along the rest of the hair from root to end. You can also opt to use this only on the ends of the hair if you simply need to hydrate that strands of hair. The goal is to massage the oil thoroughly into the hair so that it can benefits all your hair. Once the hair is soaking with coconut oil, wrap the hair in an old towel put a shower cap or something like it on your head to give the oil time to penetrate the hair. You will want to keep the oil on the hair for at least 2 hours. You can also leave it on for the whole night to get a deep coconut oil hair growth treatment. Once you are ready to wash the oil off your hair, remove the wrapping from your head and wash your hair until it no longer feels oily. This may take 2 to 3 washings with a gentle shampoo. Next dry the hair, or let it air dry. You will see amazing looking hair that is beautiful and healthy. Coconut oil has Vitamin K, Vitamin E and iron. It not only can help in producing a healthy scalp, but also can penetrate into the hair, provide the needed nutrition and allow the hair to become stronger. Stronger hair will grow faster and stay the length you want without breaking. In coconut oil, there is an acid known as lauric acid that has been studied extensively. In these studies it has been found that this acid helps to prevent the loss of protein in hair even better than most other common oils found in hair care products. More protein you hair has, the stronger and healthier you hair will be. There are many things in today’s environment can draw the moisture out of the hair, which results in brittle and dry hair. Coconut oil helps to lock in the moisture, while keeping external damaging elements from harming your hair. Thus, you get better looking hair. When you use coconut oil to softly massage your scalp, the blood circulation will increase. This will ensure that you have a stronger hair follicle that is going to enable stronger hair growth and better looking hair, since the hair follicle will be at its peak strength. Due to the many healing characters of coconut oil, it will penetrate the hair follicle and thus ensure that the strand of hair is stronger. Stronger hair is going to allow the hair to keep growing, and this can actually encourage better hair growth that does not have split ends. Coconut Oil for hair growth also has the added benefit of ensuring shiny hair. For those who are seeking the healthy looking hair that is seen in movies and magazines, then coconut oil is what you need. In addition to the shine, coconut oil can also help with the hair color, specifically in suppressing the onset of greying hair. Several scalp conditions like dandruff and even lice affects how well the hair grows. With antibacterial and anti-fungal nature, coconut oil hair conditioner provides your hair with a natural defense against these ailments and prevents further damage to the hair. Server responsed at: 04/25/2019 8:41 a.m.